Okay, so this time we’re going to take you into the real nitty-gritty! When you left last issue, Pam was jumping on a plane to join the “Top of the Line Flight Squadron,” and I can tell you, THOSE folks were NO “small potatoes” at the time. The pilots in the Flight Squadron were flat-out “as good as it gets!” Gosh, it seems like there were years there (multiple) when the Flight Squadron went completely UNDEFEATED in their team competitions. Yep – no team ever beat them – as in NONE! And then the individual members of the Flight Squadron were equally strong in competitions, too – though they occasionally fell to some other pilot when that pilot had a GREAT day, and the Flight Squadron fellow only flew Very, VERY WELL! 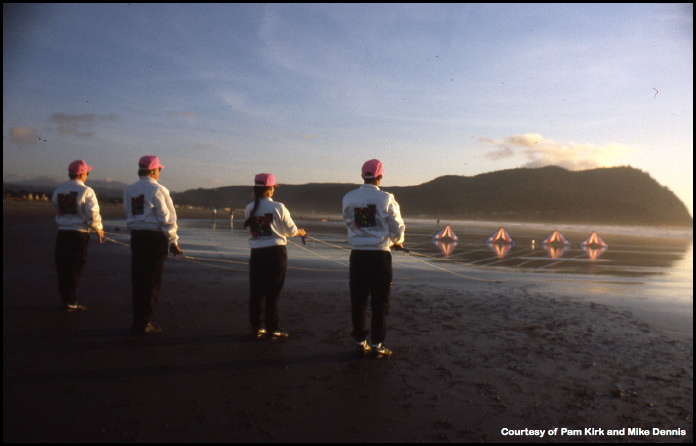 So – Pam was going to be part of the VERY BEST kite team in existence at the time! Pretty august company she was joining, eh? Okay, enough pointing fingers and “show and tell” from geezers, here. It’s high time you just went on and read the rest of their article. 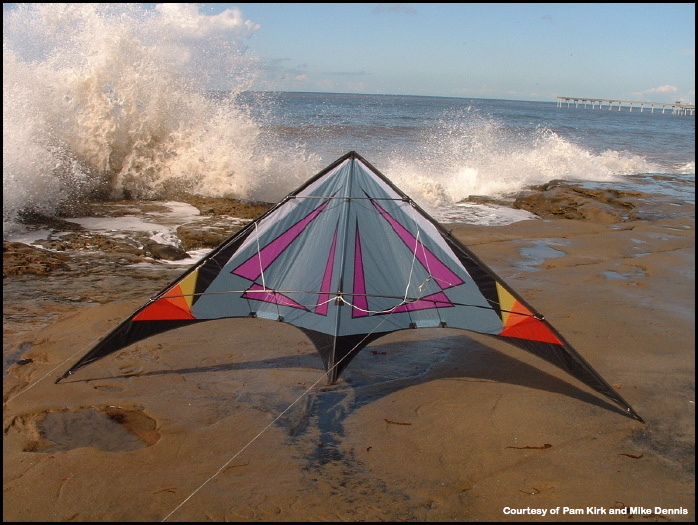 The first two sections, one by Mike and one by Pam, deal with stories of the Flight Squadron days, and the last section talks about their company, Heads Up Kites and their philosophy behind the kites they help to make the kites that so many of us fly. From their start to where they are at now. These folks are really pretty special! First, I want to thank KiteLife and its editors for giving us the leeway in answering their questions in this fashion. Many of the experiences were shared together and it seemed redundant attempting to tell the same story two different ways. So, I’ll start the second part of my interview at the ECSKC 1988. 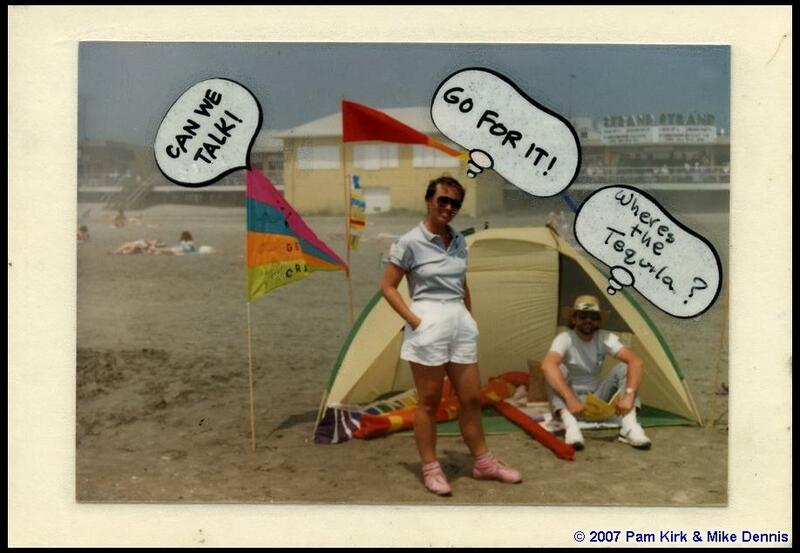 This was our 3rd trip to Wildwood and I was very comfortable in knowing that I was going to have a good time. Little did I know that things were about to happen that would literally change my life. The first day of competition we hadn’t been on the field for very long when Eric Streed of the Flight Squadron walked up and told us that Pam was going to be invited to join their team for the next season. Ron was the one who was going to make the proposal to Pam, but Eric couldn’t stand it and spilled the beans. Don offered us both jobs in the sewing department, the best paying jobs in the factory. 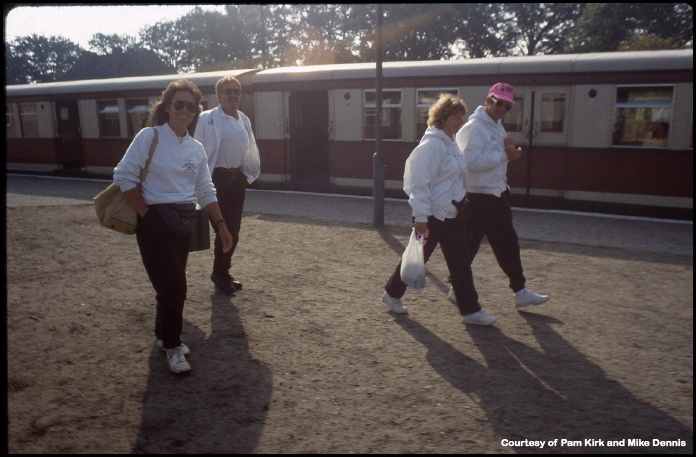 Working at the factory would allow Pam to be able to travel with the Team. But, we would have to pay all of the relocation expenses ourselves. The decision was probably a little harder for me to make than for Pam. This meant that I would have to give up my job. No small task ~ I loved my job. It was in the Exhibits Department at the Center of Science & Industry for 9 ½ years. My responsibilities included maintaining, prototyping and building hands-on exhibits. I had my own complete workshop including a paint booth and was also the staff photographer. I had total access to a very complete cabinet shop and was given the privilege of selecting most of the power tools. There really wasn’t a day that I didn’t mind going to work. We lived in a historical area of Columbus called German Village that was close enough to either ride my bike or walk year round. Giving all of this up meant that I had a very big decision to make…. Through the summer we had been in contact with Ron about the move. It was decided that we would come to San Diego for a scouting visit after the Labor Day fly in San Francisco. He had offered us the use of his motor home during our stay. Toward the end of the year we had decided to make the move. Pam would come out in February, start practicing with the Team and find a place for us to live. I would work at the Museum as long as possible and would pack everything up in anticipation of my arrival in San Diego sometime in April. Two days after I had arrived, the Belmont Park Championships was being held at Mariner’s Point on Mission Bay. This was a great introduction to my new home. I made arrangements to start work in two weeks. This would give me time to unpack and begin to settle into my new life in Ocean Beach. My first day at TOTL, I was confronted with an unexpected situation. I would not be able to start in the high paying sewing job as was promised. The only job available was in the framing department ~ at minimum wage. Needing a job, I accepted. After filling out all of the paperwork I was told to report the next morning. Upon leaving the shop, I was very disappointed and took it out on our little station wagon all the way home. It had a 302 and at every green light, somebody knew it! Showing up for work the next morning I was introduced to the supervisor of the framing department. He showed me the area where I would be working. It was a room about 16’ square with benches on 3 sides. There were at least 10 people working in that room. They started me out on what was probably the easiest job ~ taping the ends of the rods, there were no caps, too expensive. Please remember that during this era there were no molded parts. Every part had to be made including the aluminum connectors. 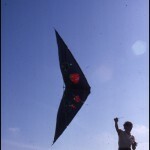 The Team Kite itself used three different sizes of fiberglas rods. The end of the rods were taped with either paper or electrical tape. You would wrap the end of the rod about 3 times around using 2/3 the width of the tape. Then, using a metal tool that was shaped like a pencil, you would fold the remaining 1/3 of the tape into the center of the rod. This procedure was very time consuming. There was no piecework in that department, so some people turned this last procedure into a work of art. I’ve always tried to do things efficiently and picking up this second tool seemed a waste of time. With a bit of experimenting, I made a die-type tool that clamped to the workbench and then you simply pushed the end of the taped rod into a hole to complete the part. It was very fast. The supervisor had me make a few of them. This was the first of many tools I designed for the back room over the next year. These included a jig to cut and drill in one operation the vinyl tubing for the connectors, a saw that could cut 300 pieces of fiberglas at one time, and various jigs for just about every other operation in the manufacturing of the frames. By the time the next kite building season began there were only 3 people working in this room including myself. Not only did these improvements save time, but they also nearly eliminated any defective parts. There was finally an opening in the sewing department and it was offered to me. I accepted it and started to learn how to sew all of the kites. I was never as good as Pam. She was the best sewer in there, no foolin’. There were about 8 or 9 sewers and this department could produce about 700 kites a week, sometimes more. Eventually I was made assistant supervisor of that department. During the summer, Don decided to design a new kite and I was asked to make all of the proto-types. 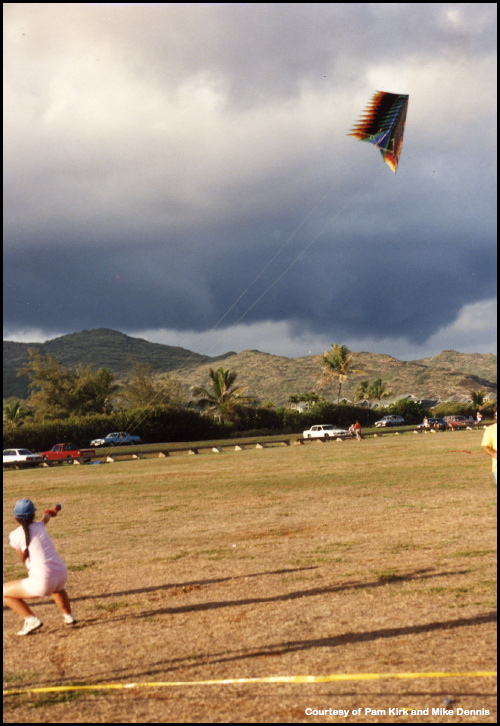 This kite would eventually be known as the North Shore Radical. It took four or five before Don selected one to finalize. One day he came into the shop and looked at my last drawing. He gave me the shape of the trailing edge and I made a set of patterns and produced the last proto-type. He had designed the kite around an Easton aluminum carbon rod, so he was now concentrating on the bridle. 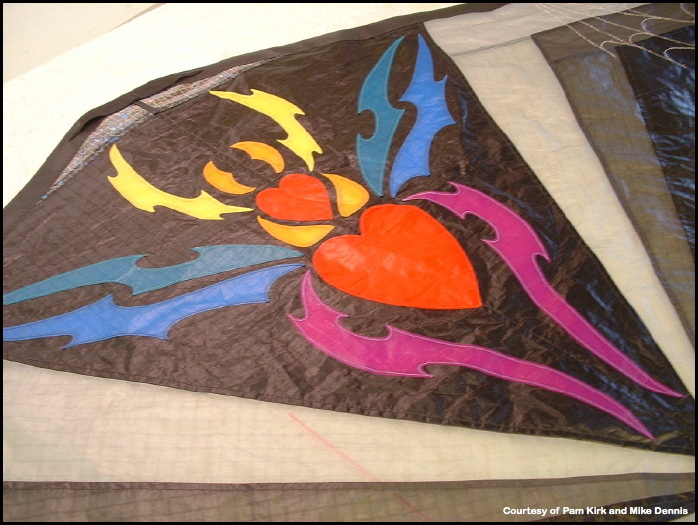 A few more kites were made from these patterns to test. Don had chosen the graphics, so the next thing to do was to modify my temporary patterns to reflect these changes. 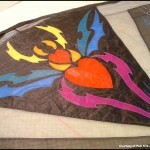 A few more kites were made from these patterns to test. 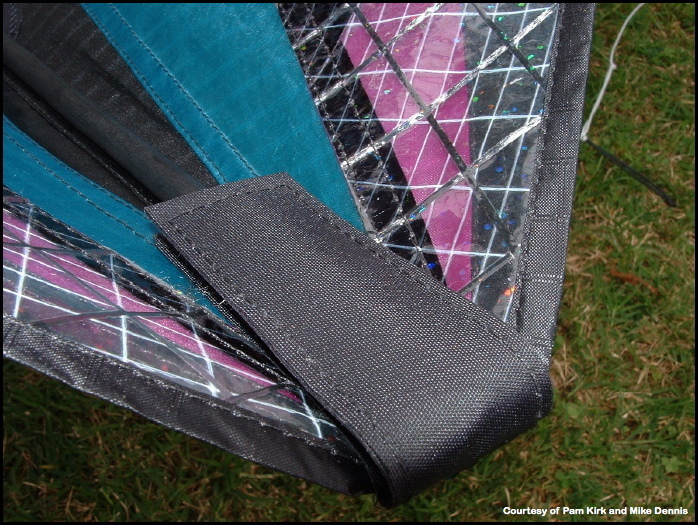 After extensive flight testing the bridle lengths were determined and I was asked to put the kite into production. First, I made two sets of templates out of 1/8” aluminum. It took a week, but they were perfect. Then I specified every procedure in the manufacturing of this kite. This meant that every department had a master sheet showing the parts and operations that they needed to be responsible for. This included everything from the initial cutting of the cloth all the way through to the quality control of the finished product. 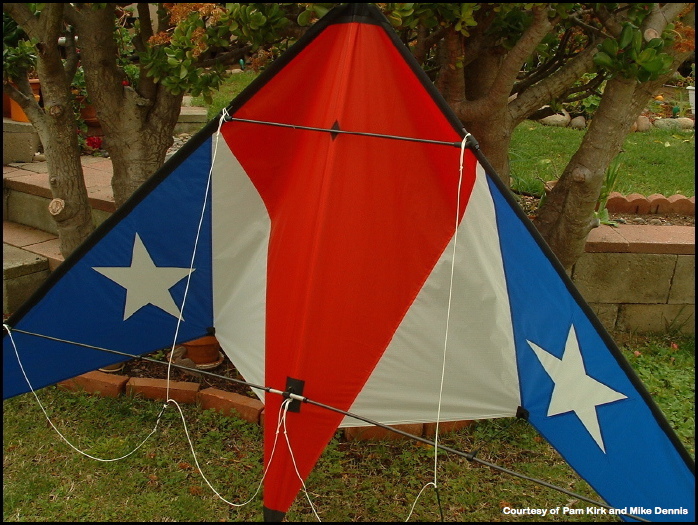 The NSR became one of the most popular kites ever. I am proud to have been a part of it. The last couple of years with TOTL I was responsible for the R&D. 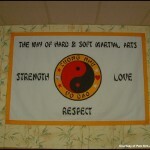 I was in charge of all new kites including the V.I.P., Wind Rule and Snap. I was the only employee that could walk in the door and make every kite from start to finish. Working at Top of the Line was an interesting experience. Don had a great operation and a product that was loved by many people. It seemed like every week a customer would write him a letter telling of how much they enjoyed his kites. Because San Diego is a popular place to visit, many customers would come to the shop just to say hi and hope that they would get a tour, even from far-away place like Japan and Europe. The hallway with all of the trophies was a popular photo spot. I left Top of the Line in the Spring of ’93. Pam had been laid off about six months earlier for insurance reasons, but this did not effect me at work. Don had hired a new managing consultant and as a result the climate was slowly changing inside the factory. Pam had lots of work with Heads Up and it just felt like a good time to leave. Pam’s already written a little bit about my flying with the Team, so I won’t spend too much time writing about it. When Pam started flying with the Team, I had no official connection. I paid for all of my travel during the first year. It’s an interesting and little known fact that after that first very successful season in 1989, the Flight Squadron was considering giving up competition and doing only professional performances. But at the end of that season Daniel Prentice of Shanti Kites and American Kite Magazine had announced that he was going to sponsor an annual world team competition ~ The World Cup. Don had to have that trophy and asked Ron to write a killer routine to get the job done. It’s this fate that would help produce one of the most truly inspirational and emotional routines ever flown ~ “The Battle Hymn of the Republic”. My official association with the Team came from the fact that Pam was unable to fly due to a work related injury. I was asked to step in and fly the No.2 spot for the first tournament of the season, the Texas Gulf Coast Challenge. I think we started practice sometime in February. I remember the first practice fairly well. We were at south Mission Beach on the sand at the water’s edge, with our backs to the ocean. It was cold and rainy with winds blowing at around 12. 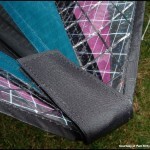 We were flying Team Kites framed with 4 wrap Rev rods. The kites were pulling hard and were moving fast. I learned the first half of the routine and we practice the full-team refuel a lot. Here I was flying between Ron Reich and Don Tabor and trying not to be nervous. In the refuels it’s important that I get my kite locked into position quickly or there’s no time for Don or Eric to lock in. The higher the wind speed the less time there is. I’m not sure how much confidence I inspired in them that first day, but it must have been enough because we were on our way to Texas. Ron was the best coach. There was nothing he left to chance. There was always, as we would say “a method to his madness”! When we arrived in Texas, we went straight to the field. It was pitch black and blowin’ hard. But Ron got out a kite, tuned it and we all flew it to get used to the conditions. I’m sure the man in the pickup truck who was guarding the field got a kick out of seeing four grown men from California with matching white satin jackets flying a kite in the dark of night! But it was worth it. We ended up taking 1st place in both the Team Precision and Ballet events. I couldn’t have imagined the reaction of the crowd after the Ballet. From then on, I was considered the alternate for the Team and would fill in when another member couldn’t attend an event. I didn’t compete with the Team again until the ’92 season. In between this time, I was able to travel to many demonstration events both in Europe and the US that Eric couldn’t attend due to his work schedule. In traveling overseas with the Team, I don’t think I’ve ever come across anyone who enjoyed experiencing life more than Don Tabor. 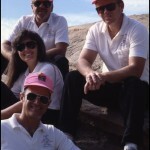 The 1992 season, with Ron, Pam, new member Paul Hodges and myself, I consider the most successful. Our ballet routine, “the March of the Toys” was even more competitive than the Battle Hymn, and certainly much more technical to fly. Because we took our execution cues from the music, it almost felt like you were dancing. It was also the season we laughed the most. On our very first outing to Miami, after we had settled into our rooms, we thought we’d go out & find a convenient store for items to stock our fridges to save a little money, thinking we were being so responsible. As we were passing by a bar that had just opened its doors for business, we heard this guy say, “Want a free drink?” They were smoothies with a kick in many different flavors & of course, we had to try them all. So much for being good little kids! Ron had bet us that he could get us all free t-shirts from the manager and in turn be a sponsor of sorts. He won the bet. And so, again in the dark of night, we headed out to the beach with our new shirts and our kites and had an impromptu night fly! This sparked quite a bit of chatter amongst all of the kite flyers about how loose the “new” team might be…. Another time I can remember was when we were staying at the Khardoma Lodge during the Great Lakes event, Steve Shapson had brought boxes and boxes of FunSnaps. You couldn’t open a door or sit on any toilet seat without one of those things goin’ off. But the thing that made me laugh to tears that weekend, was watching Alan Nagao chasing Scott Aughenbaugh through the lodge trying to get his prosthetic leg back. I don’t remember the whole story, but somehow it had broken & Scott had taken it ~ Alan wanted it back! A group of flyers with their repair kits put it back together for him. Alan and his team seemed to always have that Hawaiian spirit. These are just a couple of experiences from that season. 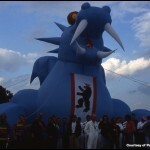 Although we flew professionally for many years after, I had the most fun during the ’92 season. As excited as I was about starting on this new adventure, I do admit I did wonder to myself “what have I done?” and only time would tell. After all, people had relocated to work at various kite companies to sell kites, but to my knowledge no one had done so just to fly kites. Since I was a young girl, I had dreamed of moving to the West and traveling the world and making a living at some sort of sport, so perhaps this was my opportunity…. The day after I arrived, Ron Reich and Eric Streed stopped by to officially welcome me to San Diego and more important, to The Team. 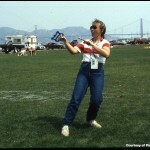 Don was anxious to show us all our new personal Hawaiian Team kites that we would be flying that year. That Saturday, we all got together for our very first practice session. I had no idea where we would be flying, so I had envisioned a nice plot of sand by the Ocean. Well, sure, it had steady ocean breezes, no crowds to look out for (ground passes), and it even had picnic tables. It was also the size of a postage stamp with water on either side! After being accustomed to the 90 plus acre field back in Columbus, this was quite a surprise. But as the day progressed, so did the team. We were all quite pleased with the results. We would meet again tomorrow for more of the same. And so it was to be, every weekend, Saturday and Sunday, from mid-January through October, at various fields around Mission Bay and elsewhere, for at least the next four years…. By my second week, I had starting working at the Top of the Line factory, in the sewing department. Although I had been making kites for a while, it was somewhat intimidating to be working on “these” kites. 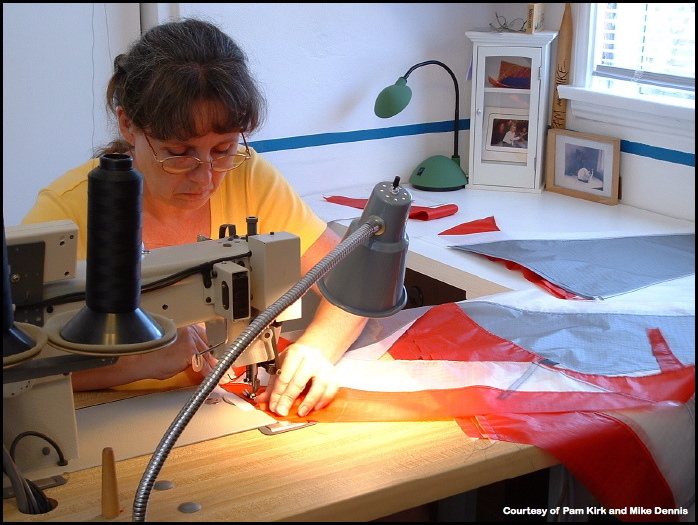 But by week 2, I was instructed to sew a set of custom kite for a team in England known as The Blitz. Every sail I turned out in that factory (and to this day), my motivation for excellence was that I hoped that whomever received this kite would be as happy with it as I had been. This was however, just a regular job with all of its highs and lows, of which I may expound on later ~ now back to the flying? Needless to say, I was ecstatic about being a member of The Flight Squadron. It was indeed a whirlwind year for me. After about a month of practice, our new team headed out for our first competition at the Hawaii Challenge. I had heard that the winds at Kapiolani Park could be quite radical to say the least. A 180* wind shift in the course of a routine was not uncommon. I soon found out why it was called “the Challenge”. This was my first time off the mainland and upon arriving in Honolulu I remember the warm, tropical weather. This was where I met Alan Nagao and team High Performance as well as the first all woman team The Hawaiian Delights. We had a wonderful time and we topped it off by winning first place in both Team Precision and Ballet. The following weekend we were off to the Reno International Kite Competition, where there was enough incentive in the $1,000 cash award for us to take another first place. Again meeting more people that we would compete against in the years to come. In two weeks time we did an exhibition at the Glen Helen regional event in San Bernadino, CA. As I recall, it went pretty well, considering the bumpy winds in the foothills. Finally, after finishing up his tenure at the Science Museum in Columbus and packing up the U-Haul, Mike arrived in San Diego just in time for the 1st Belmont Park Nationals. There’s something to be said for the home turf advantage. With the team taking two 1st places, I was even happier about finally placing on the podium in Ballet after years of trying. As much fun as I had had flyin’ and rockin’ to Van Halen, maybe it was true that the judges hadn’t liked my choice of music! Ron Reich was a very good influence in that area as history would show. The next two events, the Great Lakes Championships in Grand Haven, MI and the ECSKC in Wildwood, NJ were more of the same ~ challenging, successful and fun. Upon returning home we were told that we had been invited to an event being held in England in mid-July. 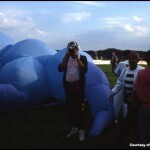 It was the Festival of the Air in Washington Tyne and Wear, a town northeast of London. I thought, now this is getting good! We flew into London and took the high speed train up to Washington (through Harry Potter country). There were quite a few Americans that had come for the event, including Chicago Fire and Team Rome1, which made for a well balanced battle against the Brits ~ among them being The Blitz, The Decorators and The Wicked Allsorts. At the close, The Flight Squadron took top honors with Don Tabor taking both top individual awards. In a bit of the spare time we had, we traveled to the nearby town of Newcastle. Imagine, if you will, your idea of a fairy tale village with narrow cobblestone streets, winding their way up to a castle overlooking the countryside ~ simply stated, it was charming. Another little tour took us into Washington to have a look at the small house that was the birthplace of President George Washington. With all of the sight seeing and all of the people that I met, which of whom I still consider good friends, this first trip overseas gave me every reason to think ~ second part of my childhood dream ~ check! With a few weeks of a breather from traveling, it was back to standard practice sessions on the weekends. 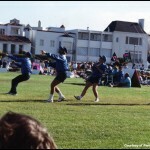 On Labor Day weekend, it was the WCSKC on the windy and narrow Marina Green in San Francisco. One of the first serious concerns over the actual safety of a compulsory figure held a somewhat heated discussion between all concerned event participants. Some even said it could not be done, while we were just chompin’ at the bit for our turn to show that indeed it could be. 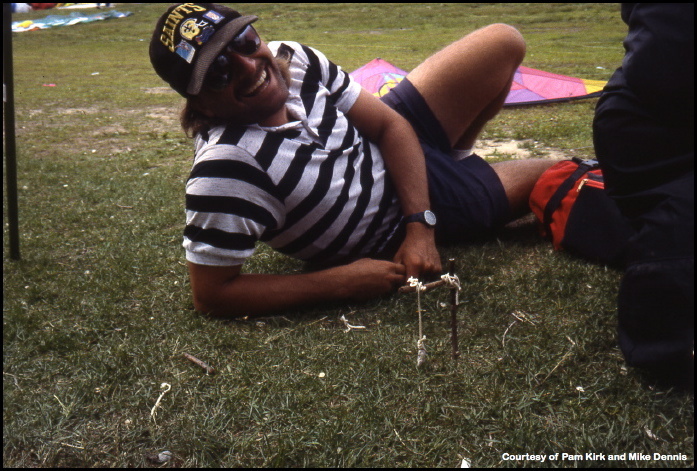 Ron had a sixth sense for figuring out ways of making our kites do just about anything. Although we had performed this maneuver nearly flawlessly more than once, during the freestyle portion of our Precision routine we unfortunately flew over the boundaries which disqualified us. We did redeem ourselves with our Ballet routine as well as two or three individual awards, which was nice since this was a cash award event! The AKA Nationals were held in Hawaii and many of the same faces that I had met so far that year had come to join in on the party in paradise. Our team had broken from the tradition of flying to the same routine all year and had come to this event with some completely new Precision maneuvers, much to the obvious dismay of some of our competitors as they vocalized their concern! 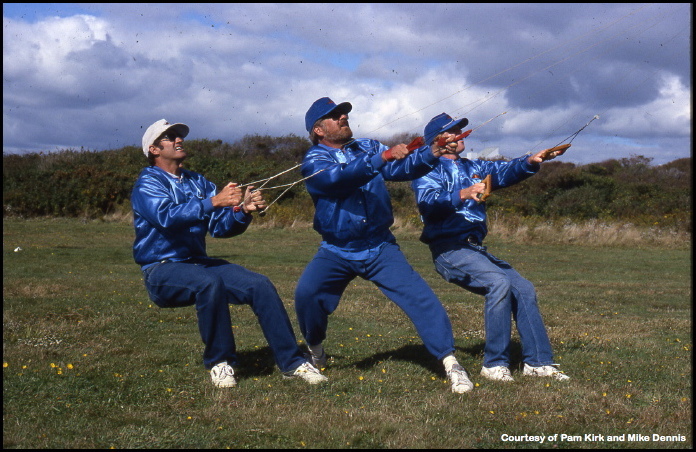 As we were warming up with some of our new moves, one of them we called “stop kite” (where 2 pairs of following kites come directly at each other towards the center of the window, the 2 lead kites pull into a stall & the respective trailing kites fly a circle around the stalled kites) we could hear, “Look! they’re crashing…. oh, s—, we just lost!” It was quite encouraging to hear! We were very happy to have been given the front cover of the SKQ Fall’89 issue flying our set of Mitsubishi team kites depicting our sweep of the Nationals. So the first season wrapped up, and it was time for us to take a couple of months rest. We would be back to work soon enough next January. It couldn’t come soon enough for me! 1990 started out just as expected. Mid-January we were back at work gearing up for more fun. But a few weeks later, unfortunately for me, I had suffered a repetitive motion injury at work which developed into that most unpleasant diagnosis of sciatica. Not Fun! It meant that I would no doubt miss our first event. This did mean however, that Mike would be quickly gearing up to fill in the second spot. From where our home is situated, through binoculars I was able to see the team practicing, all the while painfully wondering when I would be able to again fly a kite. As I wished them luck, the team headed out for the Texas Gulf Coast Challenge in Galveston. Even with the wind gusting at times upwards of 40 mph, they were successful in taking first place in both Precision and Ballet. 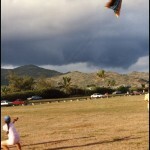 It was very good to be back on my feet with a kite in my hands. At the next three events, the CA Open, Great Lakes & Wildwood, although it was great to again see all of the kiteflyers I had met last year, the Team was on a mission. By this time there was talk of the first World Championship and that sounded pretty good to us. We were able to sweep all three events. Our Ballet routine was brilliantly choreographed by Ron to the music of “The Battle Hymn of the Republic”. It was a complete joy to perform. It had become “the” routine to see and when it came our turn in Wildwood, I remember looking around and nearly every other competition field had come to a stop to watch it. Now, that was Fun! 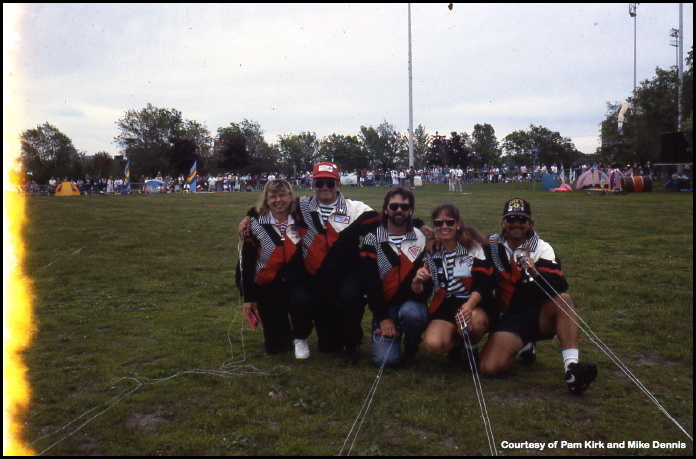 Again, when we arrived back in San Diego, we were told that we had been invited to the Dieppe International Kite Festival in France. TOTL Europe and Michael Steltzer, the organizers of the Bristol Kite Festival and the Berlin Kite Festival also offered an invitation. These two festivals were being held the weekend prior to and the weekend after Dieppe. So, Don decided to pack up the Team and head for a three week tour of Europe. Unfortunately, Eric Streed would not be able to be away from work for that amount of time. This, in turn, was Mike’s good fortune as he would take Eric’s place as tail gunner. Ron’s wife Judy came along as well. As anyone could imagine, it was quite a trip. So many things happened that it’s impossible to tell it all right here. The hosts of each event all went out of their way to accommodate us. Beginning in Bristol, on the large, rolling fields at beautiful Ashton Court, there were kites of all sorts everywhere. The weather was wonderful and the weekend went off perfectly. We took side trips to Bath and later to Avebury while on our way back to London. After accepting an offer to spend the night at Babs & Tony Cartwright’s home, we took the train down to the coast of the English Channel and crossed over to Dieppe on the ferry. Nearly everyone in this lovely town was involved with this festival in some way. From the school children bringing their handmade kites for a mass ascention, to the owners of the hotels and taverns and shops and everyone in between. There were attendees from all over the globe, with each country having their own space in the tents that lined the main entryway. During the afternoons main performances each day, the spectators lined the perimeter sometimes three and four deep. Even during inclement weather, they would patiently sit on the bleachers and wait. This dedication made the kite flyers all the more appreciative which made us perform at our best. When we performed The Battle Hymn, we were told that it even made grown men cry. We thought it to be quite a compliment. It is truly one festival every kite flyer should try to attend. 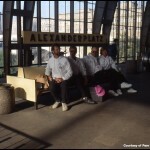 In Berlin it was a historical time. The Wall had just recently been “torn down” and it was ten days before the unification of East & West Berlin. The festival was held in East Berlin at the Hoppegarten which was the site of a steeplechase course. We arrived by train and it was as if the small town was frozen in time. From the gas streetlights to the style of the telephones. It was a time of great expectation but the faces of the people there were not yet reflecting it. From the sport kite team competition to the full-scale Cody man lifting system and the Rok challenge between several European countries, the festival was a colorful, bright light in an otherwise black and white setting. We would have liked to have been able to spend more time there, but it was time to get back to California. 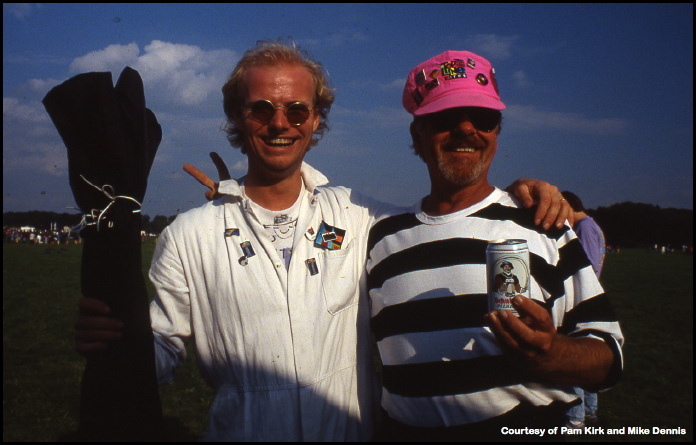 Within a few weeks of returning home, we were on our way to Seaside, OR for the 1st World Cup Championships sponsored by the American Kite Magazine and owner Dan Prentice. There were six teams participating from Japan, England, Canada and 3 teams from the USA. The international panel of judges was headed by Robbi Sugarman. Everyone was excited not only to compete to be the best team on the planet, but to see what this hobby-turned-sport had actually progressed to. After a nice, light wind day, the Flight Squadron came out on top, barely edging out the Prevailing Winds followed by Chicago Fire, the Blitz, the Woodwinds and the Vancouver High Flyers. It was announced that the 2nd World Cup Championships would be held in Bristol, England. Following the World Cup that week in Seaside, the 13th AKA Nationals were held. All the usual good times were had amongst the attendees. Our team won the Ballet event competing with our Battle Hymn routine one last time and swapped places in the Team Precision event with the Prevailing Winds. After a very long but satisfying year, the season had come to an end & it was time once again for a well deserved break. During the winter, it was decided that the Team would take a bit of a hiatus. We still got together to practice, although not at the same degree as the previous 2 years. We competed at the Belmont here on Fiesta Island and did quite well & landed a 1st place in Team Precision. The North Shore Radical was Don’s newest kite so we decided to showcase them in the Team Train event, in which we were a team of five as Mike joined in. We were each flying a stack of three NSR’s just as the afternoon wind started to kick up. We made it through the routine in one piece and came away with another podium finish. Our Ballet routine that year was taken from the story of Peter Pan. Ron had wanted to mix some entertainment into our routine. It was such a new idea and it was a bit different than what everyone was accustomed to. Although the routine received a similar response in Wildwood, we still had the usual East Coast good time. 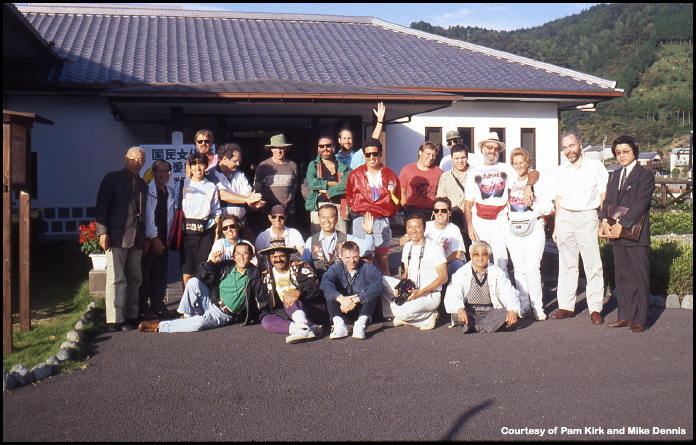 Later that year, we were invited to a festival being held in Odowara, Japan. It being our second time there, we knew we were in for a treat. 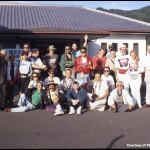 Our previous trip was to Ikazaki, on Shikoku island, home of the Ikazaki Kite Museum and a very, very old paper factory. The people in Japan were always so kind and ready to do anything for you. The weather was hot, as it was August, but it was a pleasure to perform. The AKA Nationals were held in Jacksonville, FL that year. It was surprising to find that the hotel was not on the beach, but on a river. There were small ferry boats that would pick you up and take you down river to the fly field. It’s hard not to have a good time at the Convention, but I must say that this time it was a bit harder. It was a challenge to say the least between the fire ants and the flooded fields. But in the end, I had the best time as I finally won the top trophy in the Individual Precision event becoming the 1st woman to do so at the Nationals! The 2nd World Cup in Bristol was soon upon us. It was held again at Ashton Court. Scores of spectators came and it was quite an occasion. We had been working on a new Ballet routine flying to “The Star Spangled Banner”. We were the defending champs and wanted to bring the trophy home with us once again. But in the end, the well deserving Team High Performance were the top dogs. Shortly after returning home, Don announced that he had decided to leave the Flight Squadron and join TOTL’s other sponsored team, the Killer Bees. All was not lost though, as we had had our eyes on a couple of young flyers that shared one of our practice fields. They were fantastic flyers to watch. 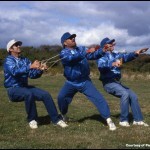 Each one flew two kites at the same time and flew formation as though they were a four person team. Eventually, when Eric left the team as well, Paul Hodges became our new tail gunner and Mike filled in the #3 spot. After a few practices, we knew that the 1992 season was shaping up to be one of the best. Our first event was the SESKC in Miami. We had one good time with the team having great success as well and it didn’t end all year. During the Team Train event in which we each flew 3 North Shore Extremes, we were able to do our Full-Team Refuel maneuver at the end of our song The Battle Hymn. Next stop was a two weekend outing with MASKC in Ocean City and then on to Great Lakes, which had been designated the All American, which counted for higher points on the American Kite Circuit. This event could decide who would be going to World Cup III to be held in Odowara, Japan. The Khardoma Lodge in Grand Haven was our ‘home away from home’ as we arrived there a few days before everyone else. As that weekend progressed, unfortunately the wind conditions degressed. 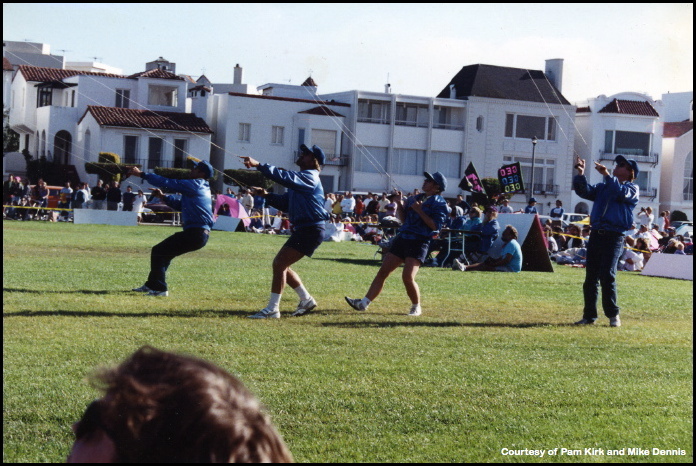 All of the teams were able to complete their Precision routines, but as the time came for the Team Ballet event, the wind had died completely. With that event in the can, the final showdown was to be in Wildwood. This is where it got sticky…. 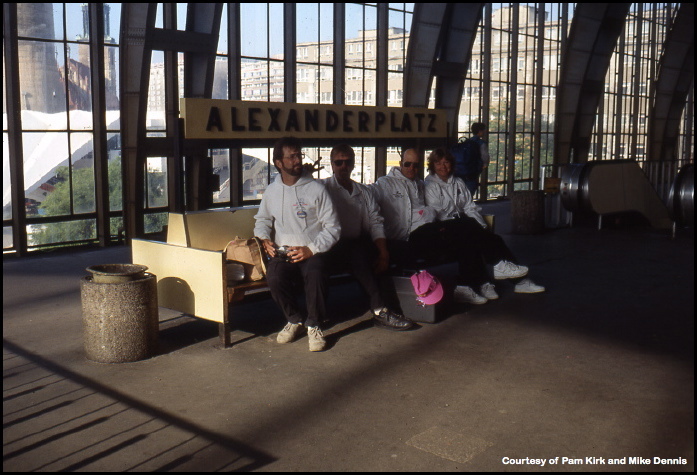 Because of the way the point standings were at the end of that event, Don had figured that by taking only his team to Wildwood and not sending the Flight Squadron, they would have a better chance of qualifying for the World Cup. This was not a happy time for us, needless to say. We had done well enough throughout the year, head to head with all of the other teams, that we certainly had an excellent chance to qualify. I ended up going to Wildwood without my team and was so driven by the occurring situation, I flew myself right into, at long last, first place in the Individual Precision event. Meanwhile, back at home, Ron was writing a letter of petition to the powers that be concerning our entry into the World Cup competition. By the time we were on our way to the UP Sports Competition in Manhatten Beach, CA on the 4th of July weekend, we had been accepted as one more team to represent the USA at the Cup. We decided to keep this information under wraps that weekend, and it was probably the most fun and successful event of the year for us. We took both 1st places in the Team events, Ron & I took 1st place in the Team Innovative and Ron placed 1st in Individual Precision. To top it off, each of these events had a $500 cash prize! After seeing these results, one individual, whom I will leave anonymis, gratefully declared, “It’s a good thing you guys aren’t going to the Cup!” Little did he know…! So, it was on to Odowara for World Cup III. The organizers there pulled out all the stops to accommodate each and every team that had come to represent their country. We had arrived a few days early and enjoyed a bit of sightseeing prior to getting down to business. When we arrived at the event field, it was quite warm & very humid. The foreacst had called for light wind conditions for the weekend. The day had finally arrived, and most everyone enjoyed a nice breeze during the Precision event. The results were in and we had placed 1st, ahead of High Performance. Soon it had come time for the all important Ballet event. Our time to fly was approaching and it was nearing that time of day when the wind begins to die down. 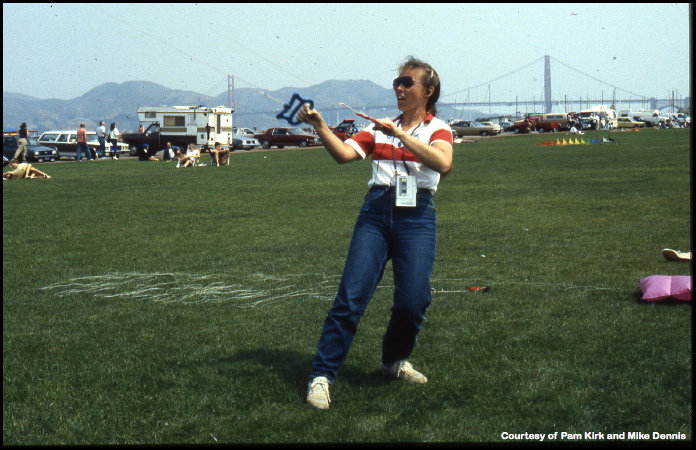 Mike & I had made a set of super ultra-lite kites for just such occasions and they were the kite of choice. In fact, the “wind rule” had been in force for a while. We decided to give it a go. We performed “The March of the Toys” ~ with no command calls whatsoever from Capt. Ron, only taking cues from the music, as we had done throughout the year. Although the pressure was very high, we had a great time flying that routine. The next team up was High Performance. By the time they were ready, the wind had picked up again and they were able to fly to a first place finish. The overall winners were Team High Performance, The Flight Squadron and Team Tsunami. The next day we were very thankful that the event hadn’t been called off. Mike had come down with a sort of virus that took him out of commision for the remainder of our trip. Wrapping up our season, we went to the Berkeley event where I again took 1st place in precision, barely squeaking by Ron. The team was again happy with our results. We were again fortunate enough to have been invited back to the Dieppe Kite Festival. With the large USA contingency that was there, it was about the best 10 kiting days we all had ever had. Then, our final excursion was upon us. Ron had announced that he would be retiring from flying so we gave it our all. We placed 1st in both Precision and Ballet at the AKA Nationals in Lubbock, TX. 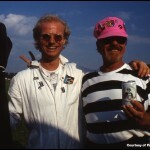 We had also placed first in both Precision and Ballet in the point standings in the American Kite Circuit. In this last year alone, after competing in 13 Team events, our record was ten 1st places, two 2nd places and one 3rd place ~ not including the World Cup. 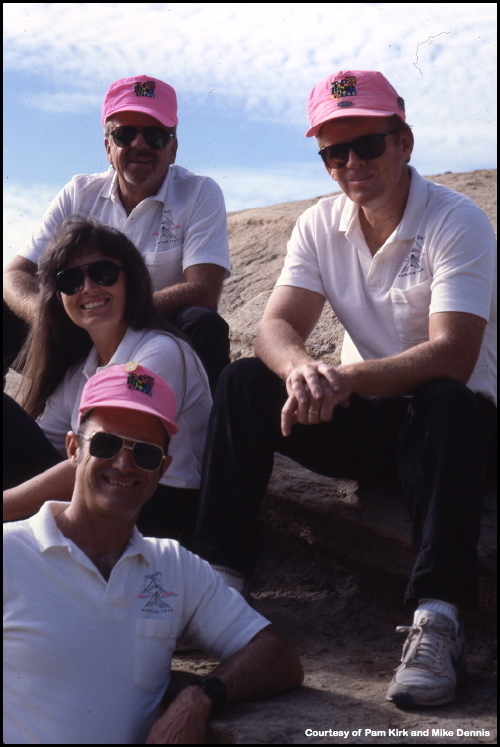 While it’s hard to take away the thrill and gratification I had during my first year with the team, Mike & I both considered 1992 to be hands downs the best year in both the way The Flight Squadron performed, our confidance level and the amount of sheer fun we had. We hope that other teams have and will in the future experience the same. During the next eight years, we continued to fly as a Team. I moved up a notch to become team leader ~ so with not much choice, I took the title of Captain Kirk! We were joined again by Eric Streed and for various events, and George Botts for a while. Even Ron joined in on the fun a couple of times flying with us at an equestrian Dressage event in nearby Rancho Santa Fe as well as the Verdun Festival. Although we didn’t compete, we were fortunate to have performed at a number of large events. The America’s Cup Opening Ceremony here in San Diego, The Breeder’s Cup at Hollywood Park in LA and several other equestrian events around California, just to name a few. 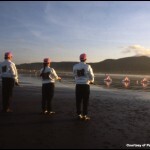 We also made it to a few regional events ~ the AVI Kite Festival in Laughlin, NV, being one of our favorites. 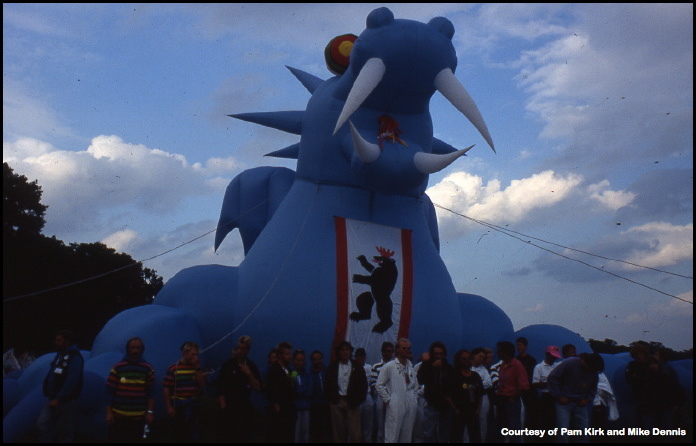 As mentioned earlier, another festival that we had been a favorite was the Verdun International Kite Festival in Quebec, Canada, three years running. We participated twice at the event in Brookings, OR as well as the Child at Heart Kite Festival in Denver, CO. Both of these events were in some of the most beautiful parts of the country. We did a bit of hiking along the forested cliffs on the northern Pacific coast and up into the mountains of the Rockies. The festival in Phoenix, AZ in which we participated in back to back years, was a challenging place to fly. The wind didn’t always cooperate as can happen in the desert Southwest. Ron and his wife Judy had since moved to Tucson, so they were able to come to the festival. The Flight Squadron was very proud to have been able to perform The March of the Toys flawlessly with Ron looking on. 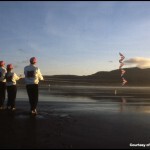 We didn’t really start out with the intention of going into “the business” when we began making kites. 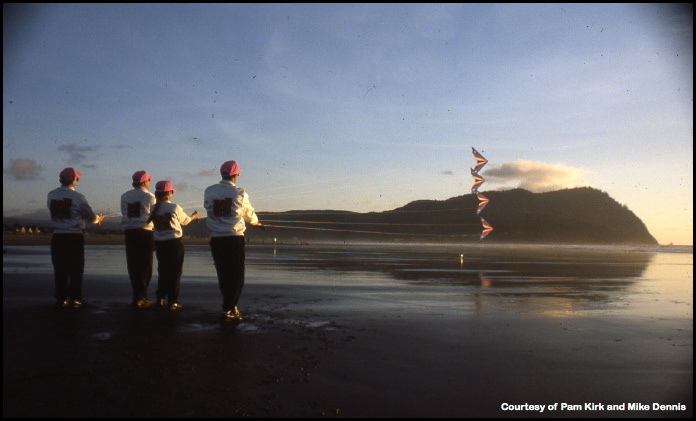 As involved as kites were in our lives, it was only natural that we would try to build some of our own. Mike was very mechanical, building exhibits at the museum, working on bikes, etc. I was the artistic one and so we thought we’d try our hand at making some. 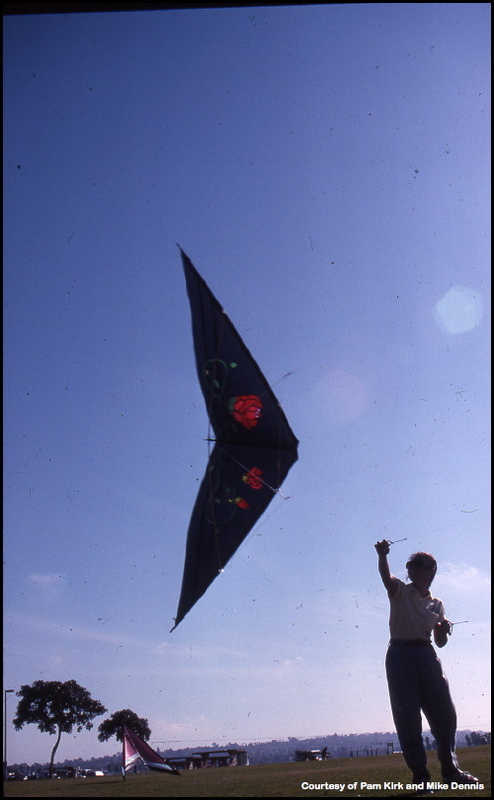 Mike still had his Little Golden Guide Book of Kites from childhood and some of the first lightweight materials, such as mylar, he would bring from the museum. 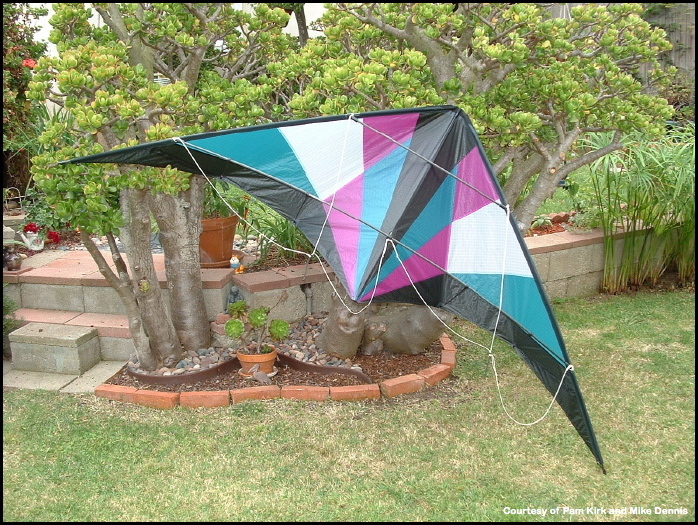 But we always wanted to make kites out of ripstop nylon because that was considered the elite material. Luckily, we had a sail making shop not too far from us. Some of the local club members had told us we could get scrap there. We could also buy small quantities. Mike’s father knew we wanted to make kites out of cloth, so he bought an old, but beautiful, Bailey sewing machine for $5, a Japanese Singer copy. He rewired it and gave it to us. It was quite a challenge to get it to sew the slippery nylon properly. But after a day of playing with it, Mike was able to make a nice stitch. 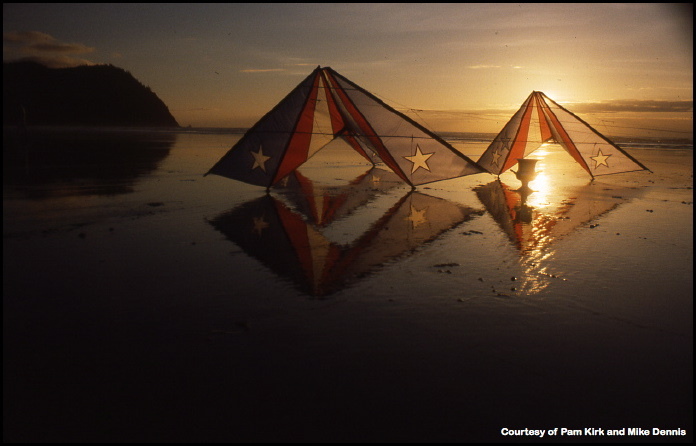 The first cloth kite we decided to make was a copy of Bill Kocker’s Seagull kites. His kites flew wonderfully. Bill spray painted the details on the kite, we thought we’d applique them. Mike made a template out of formica and we had figured out how to cut the wings two at a time so they would be matched perfectly. They flew very well and so we started to make them in different colors and flying them in trains. Suddenly, it seemed that everybody wanted to buy them! So, that was pretty much the start. Our good friend Bob Rowe came up with the name, Heads Up, I came up with the logo (a little pigtailed girl and little boy looking skyward) and we were off. We knew that the scrap cloth we had been getting wouldn’t work in the long run, so we started looking for suppliers. Mike called Bill Tyrell of The Fabric Lady to get some white cloth for the Seagulls. Bill said he had 60 yards and would sell it to us for $2 a yard. Mike told him he only wanted to buy $80 dollars worth since our budget was limited. Bill said he would ship the whole roll and pay the balance when you can. Mike couldn’t believe that someone that he’d never even met could be so generous. We paid him off with the next kites we sold. The next thing to buy obviously was a better sewing machine ~ it was a $400 Viking Huskavarna. It sewed like a dream and we were in heaven. 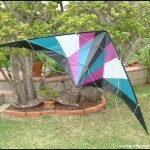 Soon we began selling at quality juried craft shows with several different types of single line kites. Our products sold very well. People would always comment on the quality. We guaranteed our kites and we never had any complaints. This also gave us access to craft and gift stores who would buy our kites wholesale. 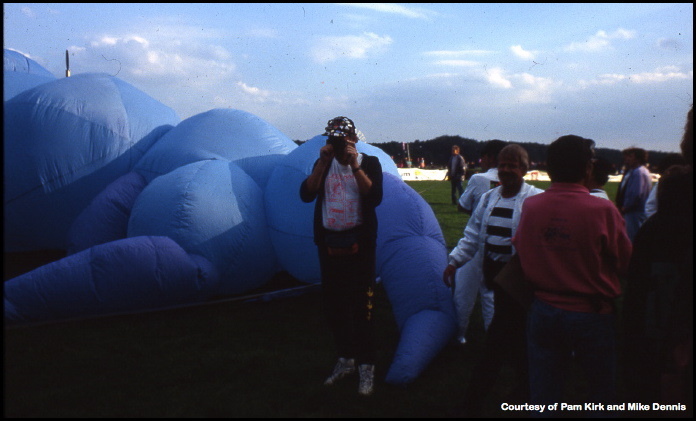 The museum where Mike worked was designing a new hot air balloon exhibit that would actually fly a cloth balloon using hot air. Mike helped in the designing and we were able to get the contract to make the balloon envelope. These exhibits have been sold throughout the world and we still make these balloons to this day. Although Mike was still working full time and making kites for shows and craft stores kept me pretty busy, we still considered this endeavor a hobby business. We continued on this path until we had made the move to California in early ’89. Working at TOTL, flying with the Team, and enjoying the southern CA lifestyle kept us very busy. We did however set up a shop where we could still work on kites and the exhibit balloons. 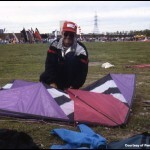 We also completely built all of the competition and demo kites for the Flight Squadron starting in 1990. 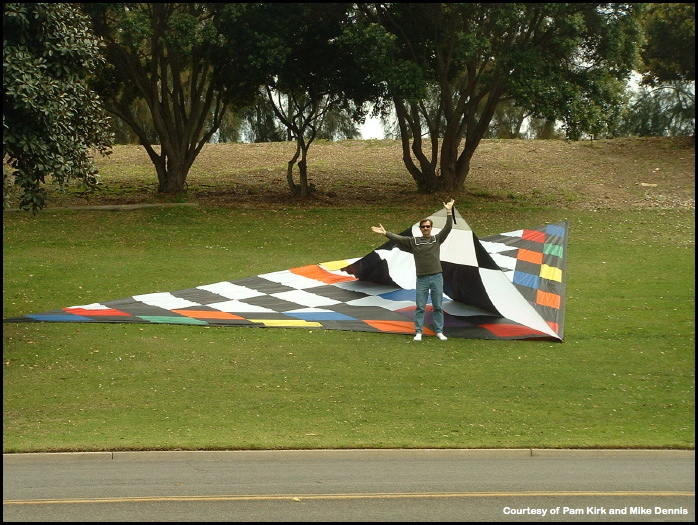 After a work related injury prompted TOTL to lay me off, it was only natural that I continue to make kites and get our company up and running again. But this time we knew it had to be on a more serious stand alone basis. 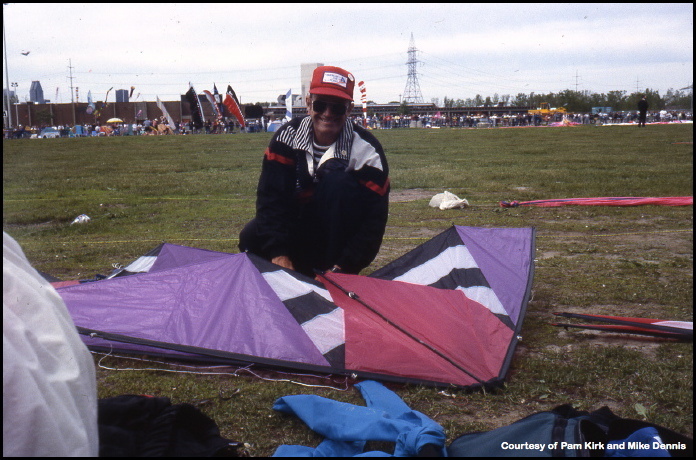 While The Flight Squadron was in Denver, CO for a festival, during a conversation Stan Swanson of the Condor Kite Co. had with Ron Reich it became known that Stan was coming out with a new kite and might be looking for more help in the way of sewers. Ron had mentioned to him that I had recently been laid off from TOTL. Later that day, Stan approached me with a possible job opportunity. After discussing this and ironing out the logistics over the next couple of weeks, I would be joining in on the production of Stan’s new kite, The Griffin. I went to Boulder so that Stan could acquaint me with their production methods. After Mike had left TOTL, he joined in on the fun. Stan was very helpful and instrumental to both of us in the beginning. 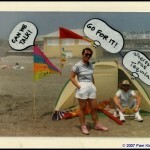 We made sails for Stan all the way through until 1999. 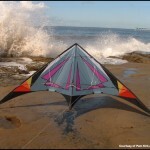 Heads Up Kites still manufactures the Griffin and ’Zilla. 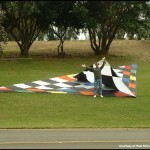 Some of our customers do still like big, noisy kites! 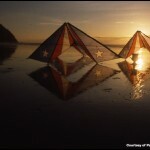 After people began hearing word that we were no longer with TOTL, we started receiving inquiries from other kite manufacturers to see if we could build their kites. 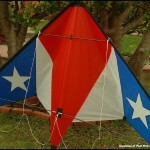 Over the years we have made kites for many USA companies. It’s hard to remember how many different kites we have made and how many different companies we have done business with. But a quick tally from memory, there would be at least 50 different models from at least 15 different companies. It was sometimes better that we didn’t divulge who we were working with and when. We thought it best not to ruffle any feathers! Sadly, not only for us but for the industry as a whole, many of these companies are no longer in business. 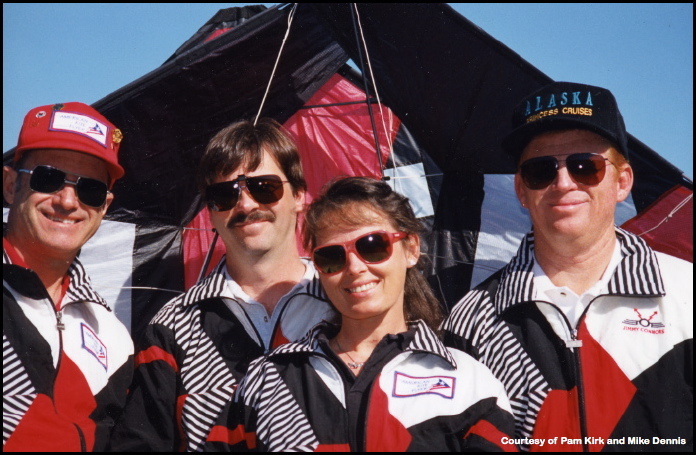 At the AKA Convention in Santa Monica, CA in 1996, we met Jon and Marieanne Trennapohl of SkyByrner Kites. We began making sails for them not too long after that and have very much enjoyed not only a great working relationship with them, but consider them to be among some of our best friends. From sewing the “SkyBurner” and “Tika” all the way through to their current models including the “Widow Maker”. 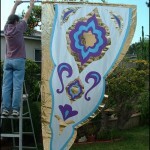 We have not only made kites over the years, but have contracted with other types of businesses. Some small and some very large companies. Some of these include industrial shade canopies, room dividers, tension structures, machine and component covers as well as banners and flags, even cloth baby doll bodies for a French artist. 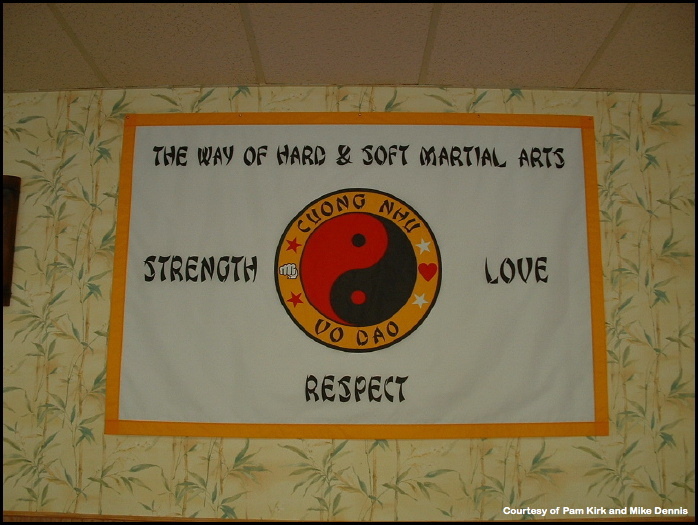 We’re able to construct nearly any flat or three dimensional shape from lightweight fabrics, although we have done some canvas work. Dealing with so many customers’ products and using different materials has taught us a lot. They’re all different. Some are just true replications, while others being ideas not quite finished and needing our expertise in creating a final product. 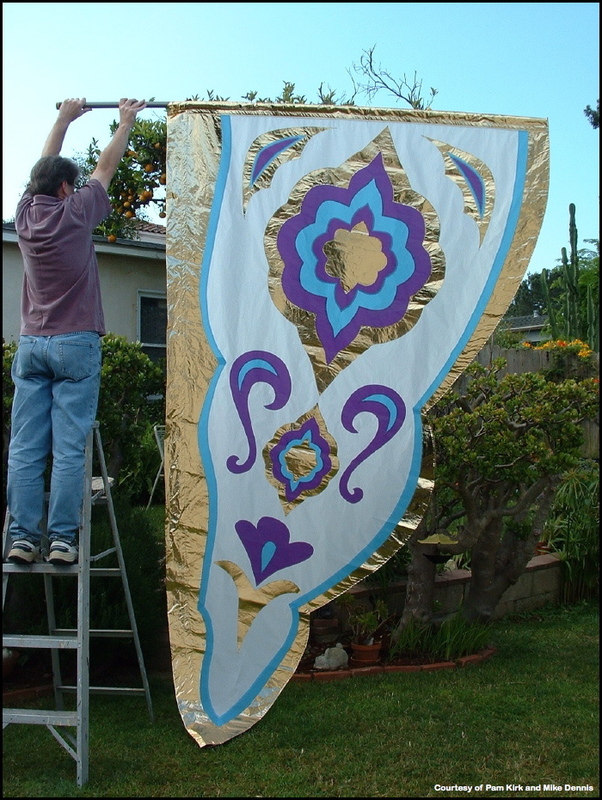 As the kites have changed over the years, they have become much more detailed with many more parts. This adds challenge to the manufacturing because it takes longer and time is the most expensive component. Every manufacturer that we work with is different. They have their own philosophy on the finished product. The process of getting a sail made is fairly straightforward, but the starting point is never the same. We’re able to advise on materials and construction and if we think there might be an easier or more cost effective way we will suggest that as well. But it is the designer’s decision in the end. 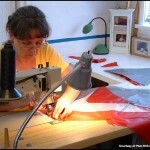 Kite building / sail manufacturing is still the part of the business we really enjoy the most. As I had mentioned before, for every kite that I make, my motivation for excellence is that I hope that whomever receives it will be as happy with it as I had been with my first great kite. Mike and I want to say thanks to all who have encouraged, supported, and flown with us. Also to those that might not even know they’ve flown one of our kites. We hope to continue for many years to come! Pam and Mike, we simply cannot thank you enough for your efforts. We know we’ve added a bit of stress to your lives and stolen some time from your perpetually busy schedule. For that, we apologize, but only a little. For without your efforts on these two pieces, many people would not know much about the history of the TOTL Flight Squadron. Again, Thank You! Best wishes in your current and future endeavors. And, when you have a little time, go out and fly a little for us will you? I think we’d all enjoy that! This entry was posted in 2007, Interviews, Issue 57 (Nov/Dec), KL Archive and tagged flight squadron.